Filing a chapter 7 bankruptcy can damage your credit score. But how long does chapter 7 bankruptcy stay on your credit report? Click here and find out. You might think filing for bankruptcy means your financial life is over. In fact, to go bankrupt doesn’t have to be a bad thing at all. It can actually be a very helpful tool for people who struggle with a large amount of debt. That said, bankruptcy stays on your financial record for a long time. There are several different types of bankruptcy, but because you’re a consumer, you file for either Chapter 7 or Chapter 13 bankruptcy. It comes down to one important distinction. Chapter 13 bankruptcy requires you to pay off either some or all of your debt. Chapter 7 bankruptcy doesn’t make you pay back anything. Chapter 7 bankruptcy sounds a lot better, so most people choose this option. But it isn’t always better than Chapter 13 bankruptcy. Let’s look at some of the differences between the two. 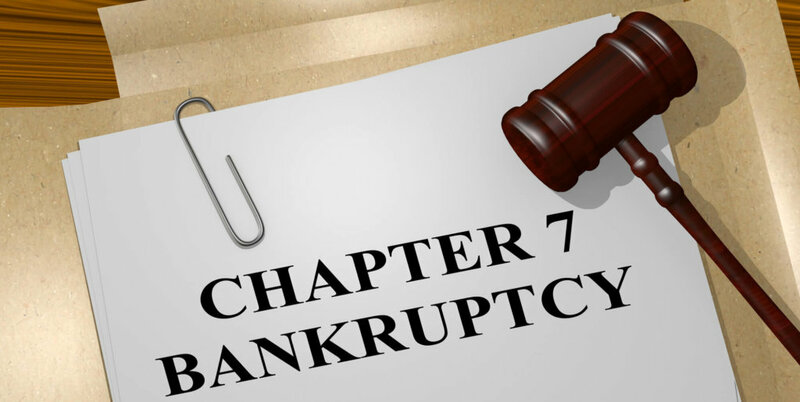 To file Chapter 7 bankruptcy, you must meet certain criteria. For example, you can’t have disposable income or even any liquidity. Your monthly income also must be lower than the median rate of whatever state you reside. If you don’t meet these requirements, you can’t get this type of bankruptcy. Chapter 7 bankruptcy also can stay on your record longer than Chapter 13. So if your goal is to get rid of debt and recover from the bankruptcy as fast as possible, you do better with Chapter 13. How Long Does Chapter 7 Stay on Your Credit Report? In most cases, bankruptcy sticks on your record for 10 years. But there’s a variation. Chapter 7 and Chapter 13 bankruptcies last 10 years. But discharged Chapter 13 bankruptcies last seven years. That makes it easier to get Chapter 13 bankruptcy off your record. What Is a Discharged Chapter 13 Bankruptcy? A Chapter 13 bankruptcy becomes discharged when you completely repay your creditors. This means you complete your payment plan and show the court you paid the required amounts to the people you owe. So Is Chapter 13 the Better Choice? It all depends on your particular circumstances and what works best for you. While it’s true Chapter 13 bankruptcy lets you remove your bankruptcy from your credit report early, it’s not a given. You may not be able to get your bankruptcy discharged. So before you decide what type of bankruptcy you seek, you should consider the different options and what’s the most realistic. Must You Wait Until Bankruptcy Is Off Your Record to Fix Your Credit? There are several things you can do to fix your credit while the bankruptcy is still on your record. It will be difficult for you to find credit or get decent interests rates while the bankruptcy is still on your report. But that doesn’t mean you can’t repair your credit. People who declare bankruptcy already had a poor credit score. So bankruptcy doesn’t necessarily hurt your score. In fact, many people say they’ve seen their credit score get better after they declared bankruptcy. So bankruptcy doesn’t have to be a death sentence. Instead of waiting for seven to 10 years before you do anything about your credit, you can do some things to get your credit score up. Here are some suggestions that can help you improve your credit score during bankruptcy. If the court gives you a payment plan, follow it exactly. One of the worst things you can do after you declare bankruptcy is to stray from your payment plan. Pay everything you’re required to pay and on time. These types of credit cards are specifically designed for people with bad credit scores. They often have high annual fees and interest rates, but they give you a chance to repair your low credit score. But there are some rules you should follow if you go this route. Don’t just take your card and start spending. You should never spend any more than 30 percent of your limit. And whatever you spend, you should pay back each month to keep you from increasing your debt. This should be your motto. Make it your primary goal to pay things like insurance, rent, car payments and other bills on time. This is the best and fastest way to rebuild your credit score. You’ll wait to do this for several years. But if you’ve improved your credit score over the years, you should apply for an unsecured credit card again. This lets you continue to improve your credit score. It’s also a much better deal than an unsecured credit card. But don’t apply for more than one credit card. If you get declined, wait at least six months before you apply for another one. So how long does Chapter 7 bankruptcy stay on your credit report? It can stay as long as 10 years, but that doesn’t mean you’re stuck with poor credit that long. If you stick to your payment plan, get a secured credit card and make all payments on time, you can improve your credit score before the bankruptcy record is gone. Is filing for bankruptcy in your best interest? Let us help. Get in touch or take a look at some of our services.